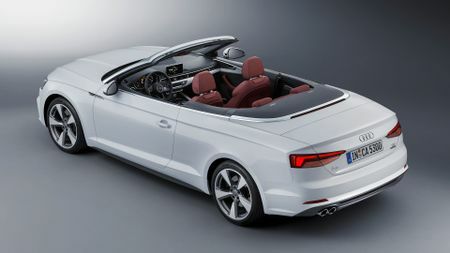 Audi has completed the new A5 line-up by unveiling the new Cabriolet version. It will be sold alongside the already announced Coupe and Sportback models. In terms of its styling, the soft-top Cabriolet clearly takes its inspiration from the Coupe, with a flatter rear window than on the previous model and a ‘wraparound’ bonnet that incorporates a ‘power dome’. The grille, too, is flatter and wider than on the previous model, while the Cabriolet also features the wave-shaped line that runs along the sides of the other A5 models. The makers say not only is the new A5 lighter than the old model, it’s also stiffer; and, that should result in sharper handling and improved fuel economy. 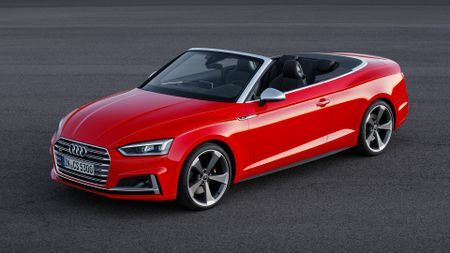 As standard, the Cabriolet will come with Audi’s Drive Select system, which allows the driver to tailor the car’s behaviour to give either more comfort or a sportier feel; and, beyond that, buyers will also be able to specify adaptive dampers. When the car goes on sale, three engines will be available – a 2.0-litre petrol, as well as 2.0- and 3.0-litre diesel units – but they will soon be joined by a less powerful, cheaper version of the petrol engine and a more powerful version of the larger diesel. All come with a choice of manual or automatic gearboxes, and four-wheel drive is optional across the range, except on the most powerful diesel, where it is standard. Meanwhile, at the top of the range sits the high-performance S5, which has 21bhp more than the old S5 and standard four-wheel drive. 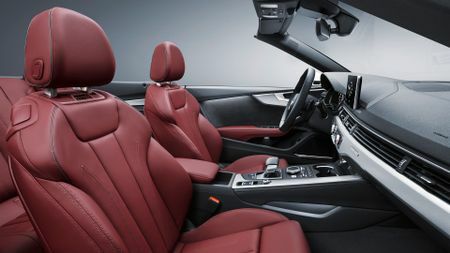 According to Audi, the new A5 Cabriolet has more space inside than the old model, as well as 50/50 split rear seats and microphones built into the front seats, to make it easier to operate the voice-control system even with the roof down. Also available will be the latest infotainment and driver-assistance systems, with Audi’s ‘Virtual Cockpit’ (which replaces the regular dials with a customisable digital display) on the options list. 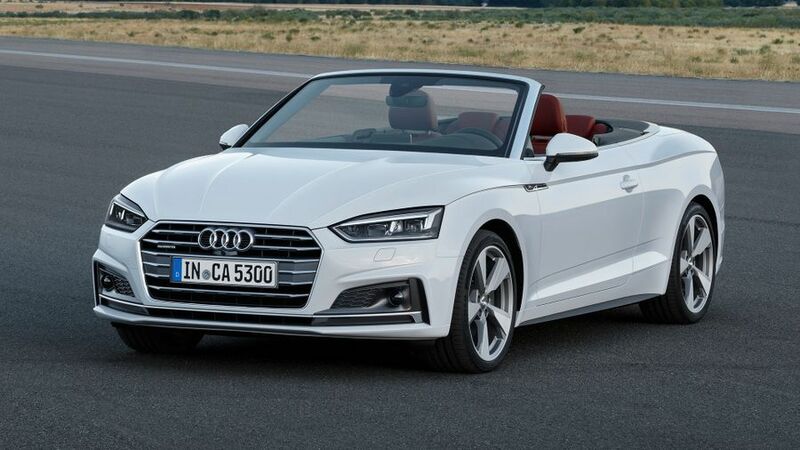 We’re yet to hear exactly when the new A5 Cabriolet will go on sale, but we expect to see it in showrooms in the spring, with prices a little higher than the current car, suggesting a starting price of around £37,000 for the range.